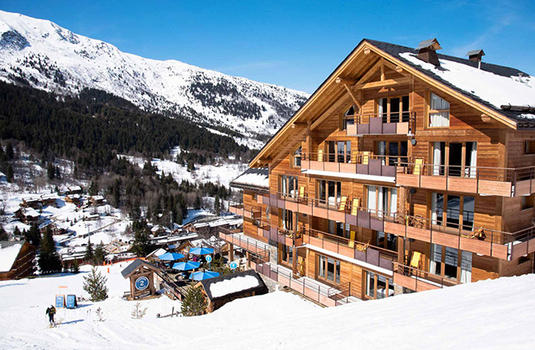 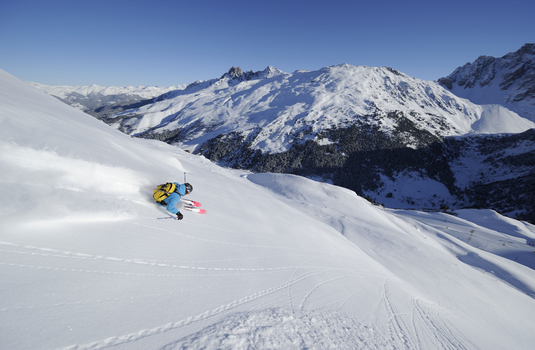 L'Helios is at the heart of the 3 Vallees in the resort of Meribel. The five-star hotel sits in the mountains offering excellent access to the world's most extensive ski area. 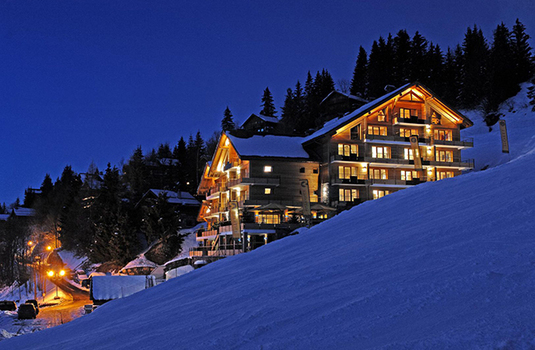 The lifts can be easily reached via a short ski from the hotel and the resort centre is also just a short walk away. 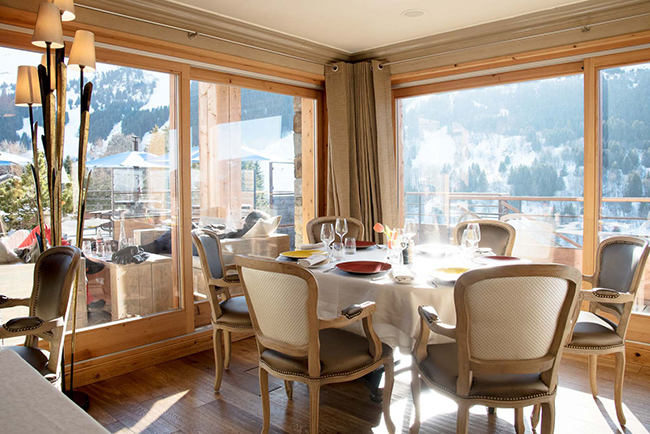 The hotel benefits from an excellent location and environment with spectacular views over the valley from its sun-bathed terrace. 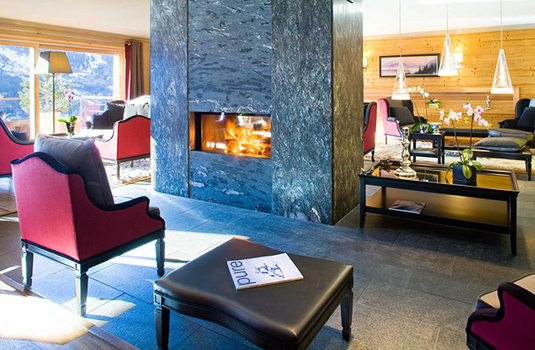 With its excellent interior design, the hotel offers a warming atmosphere throughout. 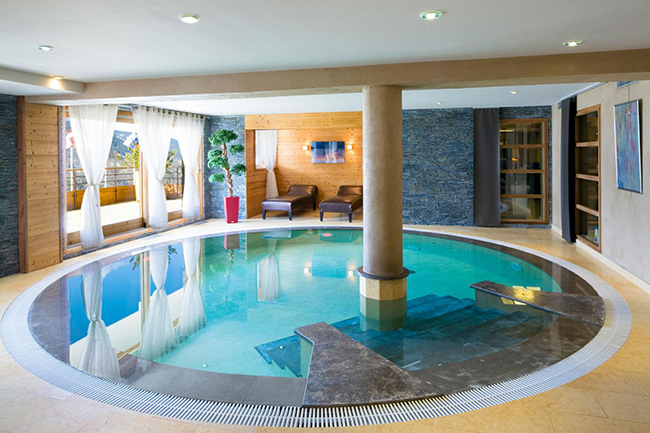 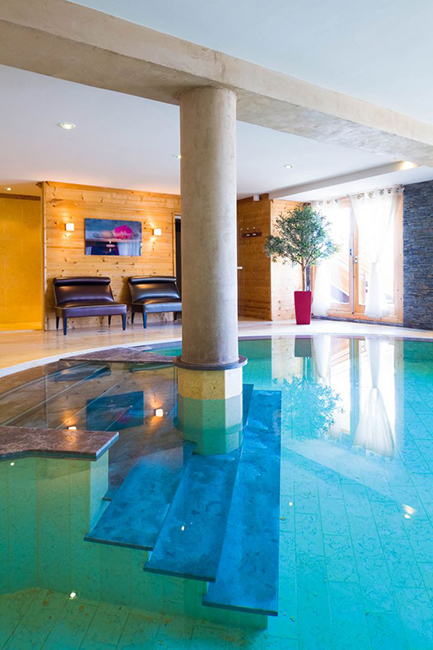 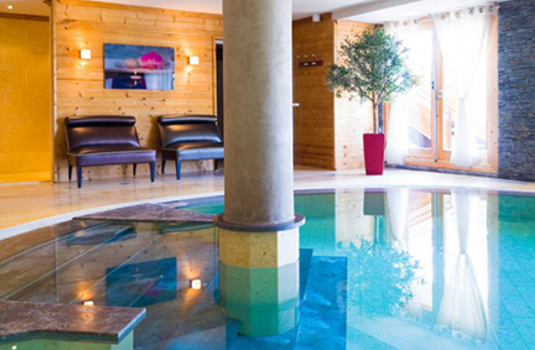 Take advantage of the L'Helios' excellent spa facilities and relax through the evening after a day on the slopes. Take a swim in the indoor pool or treat yourself to a massage during your stay. 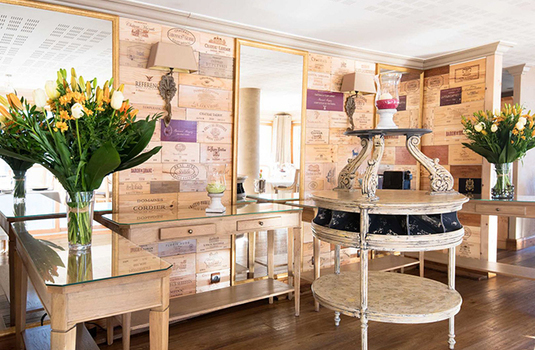 L'Helios also has a great in-house restaurant where you can enjoy the finest cuisine without leaving the hotel. Another excellent feature of the hotel is its brilliant in-house cinema. 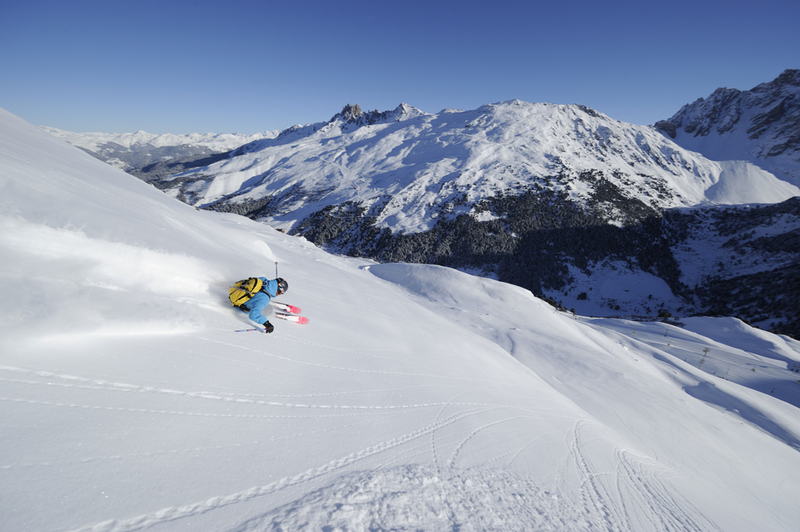 The cinema is designed to offer you the best sound and viewing in their comfortable velvet seats while away in the Meribel resort. 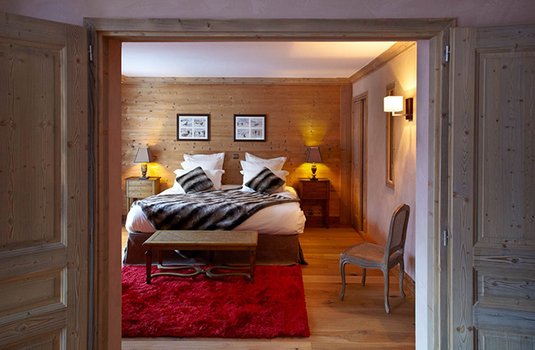 The hotel is made up of 18 spacious, soundproofed suites. 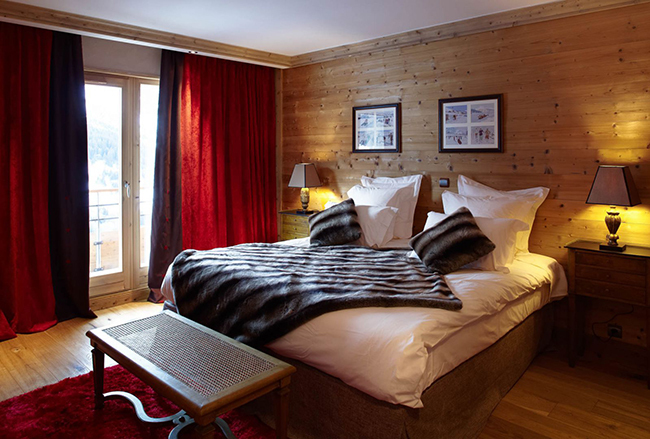 Each room offers outstanding comfort and luxury amenities including flat screen TV's, Blu-Ray players, free Wi-Fi, large beds and excellent bathrooms. 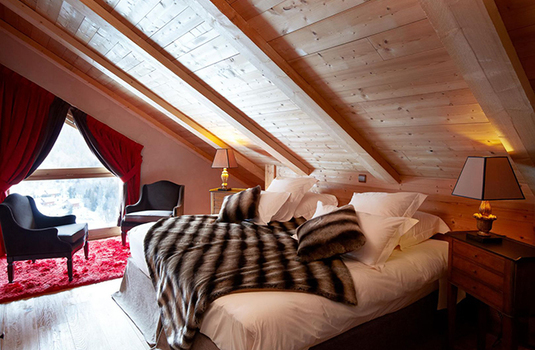 Each of the suites in the hotel are luxuriously designed and decorated offering you the most comfortable base for your ski holiday this winter. All suites are extremely spacious and offer comfortable beds, flat screen TV's, Blu-Ray players and large bathrooms for you to enjoy.